PhD Student. Natural Resource Sciences, McGill University. 2015 - ongoing. Under the supervision of Elena Bennett. MSc. Biology. McGill University. 2015. BSc. Environmental Sciences. University of Ottawa. 2011. Freshwater ecosystems around the world play a key role in supporting peoples’ livelihoods and traditions by providing them with countless benefits. These benefits, known as ‘ecosystem services’, include drinking water, flood prevention, and recreational areas. In recent years, demand for freshwater ecosystem services has increased rapidly. Simultaneously, freshwater ecosystems are increasingly threatened by development. It is thus critical that we develop management strategies to ensure the sustainable and equitable provision of freshwater ecosystem services. Protecting freshwater ecosystems is one management strategy which may help. But it remains unclear how protected areas contribute to the provision of freshwater ecosystem services, and how they can be designated and managed to optimize the provision of a range of these services for a diverse group of people. ​My thesis aims to address these pressing knowledge gaps by investigating how freshwater services can be quantified, how protected areas can best be delineated to optimize their provision of ecosystem services, the capacity of protected areas to provide sets of freshwater ecosystem services relative to unprotected parts of the landscape, and how including local stakeholders into freshwater protected area management influences ecosystem service outcomes. For my MSc. I was interested in developing consistent links between mercury (Hg) in biota and factors that are commonly and easily assessed. Hg is a potent neurotoxin that can have negative effects on human and wildlife health. However, in many areas, particularly in the developing world, data on Hg contamination is limited. Therefore, establishing consistent links between Hg levels in biota and factors that are easy to assess is important as it could help improve global monitoring and management strategies. The first part of my M.Sc. research reviewed information currently available on mercury contamination in African freshwater biota and explored the presence of certain key trends in mercury cycling across the continent.The second part of my M.Sc. research explored the effects of habitat-use on Hg contamination. Between my undergraduate degree and MSc I worked on a side project in affiliation with members of the Mennill lab, at the University of Windsor, and the Blouin-Demers lab at the University of Ottawa. I explored the impacts of noise on Spring Peepers’ communication signals. Through our research, we were able to conclude that noise affects spring peeper calls, and that spring peepers have a mechanism for altering their signal structure in response to noise. During my BSc., while funded with and NSERC Undergraduate Research award in Gabriel Blouin-Demers’ lab at the University of Ottawa, I completed an honors thesis exploring the effects of anthropogenic noise on red-winged blackbird song structure. Anthropogenic noise can mask animal signals that are crucial for communicating information about food, predators and mating opportunities. In response to noise masking, signallers can potentially improve acoustic signal transmission by adjusting the timing, frequency or amplitude of their signals. An animal's ability to adapt to anthropogenic noise can be crucial to its success. 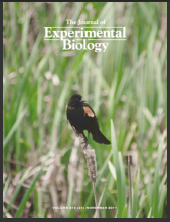 In this study, we evaluated the effects of anthropogenic noise on the structure of red-winged blackbird song. Overall, our results showed that anthropogenic noise influences the structure of birdsong. We suggest a number of ways these effects should be considered in conservation and wildlife management. Hanna DEL, Tomscha SA, Ouellet Dallaire C & Bennett EM. (2017) A review of riverine ecosystem service quantification: research gaps and recommendations. Journal of Applied Ecology. In press. Hanna DEL, Buck D and Chapman LJ. (2016) Effects of habitat on mercury concentrations in fish: a case study of Nile perch (Lates niloticus) in Lake Nabugabo, Uganda. Ecotoxicol. 25(1): 178-191. Hanna DEL, Solomon C, Poste A, Buck D and Chapman LJ. (2015) A review of mercury concentrations in African freshwater fish: patterns and predictors. Environ Toxicol Chem. 34(2): 215-23. Hanna DEL, Wilson DR, Blouin-Demers G and Mennill DJ. (2014) Spring peeper (Pseudacris crucifer) modify their call structure in response to noise. Current Zoology. 60(4): 438-448. Hanna D, Blouin-Demers G, Wilson DR and Mennill DJ. (2011) Anthropogenic noise affects song structure in red-winged blackbirds (Agelaius phoeniceus). J Exp Biol. 214: 3549-3556. As part of the 1st cohort of National Geographic Young Explorer Leaders, I'm keeping a blog about my PhD research and more. Check it out here. Read about tips for field ecologists, aquatic invertebrates, and more! I created a five part YouTube series about my PhD research field work in the fall of 2017. Check it out and let me know what you think! I co-developed and hosted a podcast all about unbelievable scientific discoveries. Check out our 8 episode mini-series at https://soundcloud.com/sciencefactionradio! ​I kept a blog as National Geographic Young Explorer during my Masters field work in Uganda. Check it out & feel free to comment!